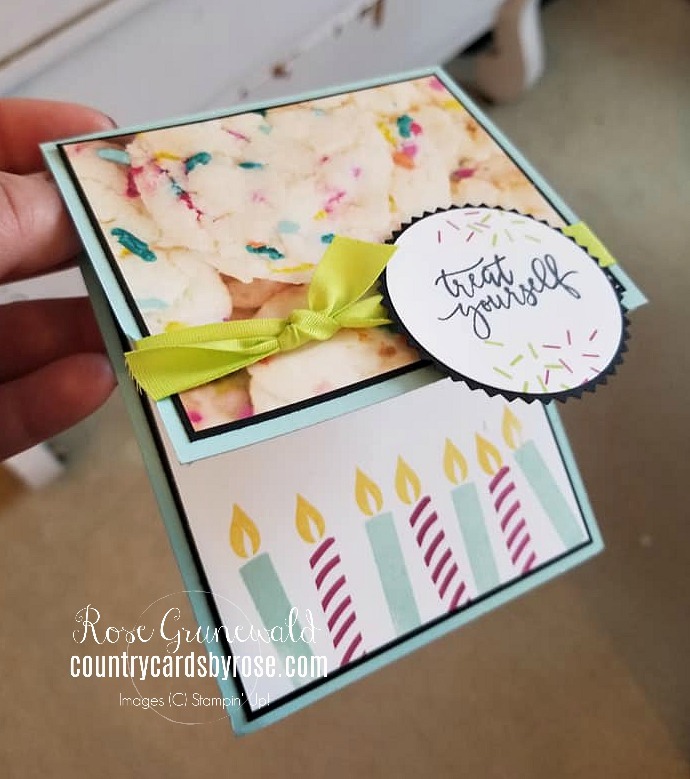 Country Cards by Rose: Picture Perfect Birthday FUN FOLD! Today I'm showcasing a FUN FOLD for you! 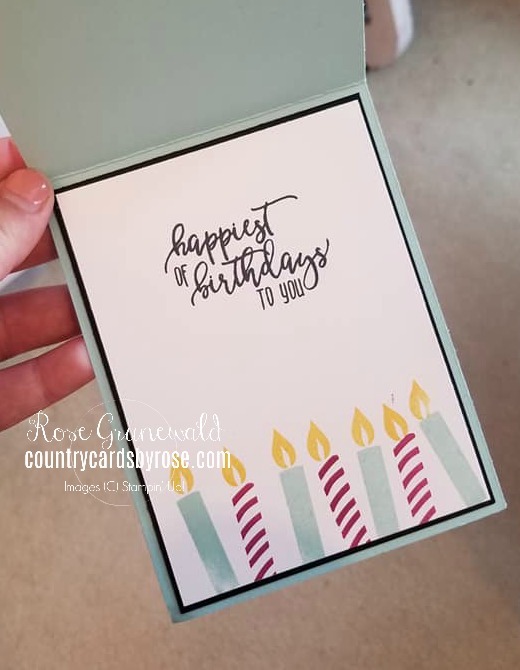 I made this cute card for a card swap recently featuring the Picture Perfect Birthday stamp set. Pool Party card base - 9" x 4 1/4"
Picture Perfect DSP - 5 1/8" x 3 1/8"